Though they are the most popular, regular cars are not the only vehicles that are on the road at any given time. And though there are more cars than any other mode of transport, it is still important to be considerate and careful when sharing the road with others. We have already given you some tips for driving around trucks and motorcycles, but one of the most common forms of transportation on American roads is the bicycle. 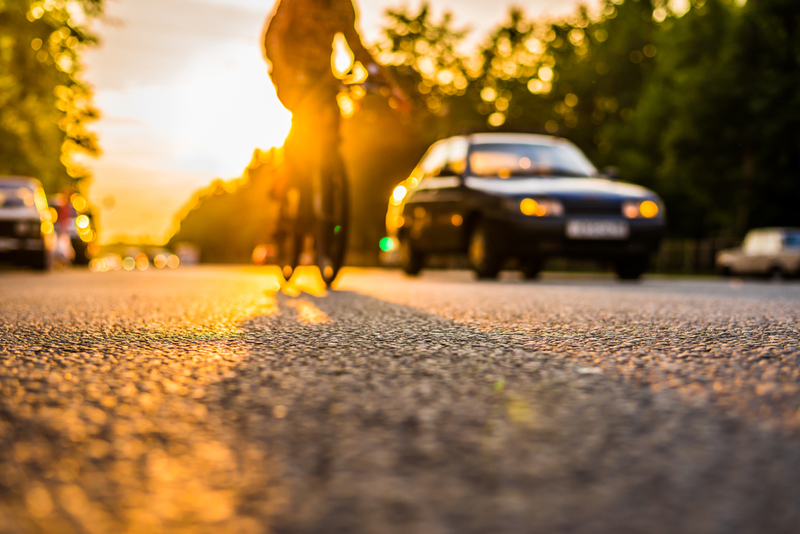 There are almost 1,000 cyclist fatalities each year in the United States, but this number could decrease if we made an effort to share the road a little better. Here are some tips for driving safely around bicycles. A lot of drivers view bicyclists with a certain amount of disdain. They see the road as a place for cars, and view those on bicycles as people who are putting themselves under unnecessary risk. But whatever your opinion, bicycles are not going away, and they are in a naturally much more vulnerable position than someone in a car. Be aware of this, and be careful and considerate when driving around bicycles. The worst that a motorist will get in a car-bike accident is a dent in their car, the best that a cyclist can hope for is to live. 1. Check that they are continuing on their current path, and are not planning on making a turn or a similar action. 2. Double check that there is no traffic coming in the opposite direction, as you will probably need to overlap into the other lane. 3. Give them a wide berth. You could run into problems if you drive too closely, or they are forced to suddenly swerve. Three feet is the ideal amount of space. All of the above also applies when making right turns, but extra care should be taken in this circumstance. If a bike is going straight and you turn, you could get into an accident. Even though you may think you can drive fast enough to cut a bike off when turning, be careful to make sure that you really do have enough time, and err on the side of caution if necessary. Bicycles are much more difficult to see, especially if light is poor and they do not have a tail light or reflective gear. Keep your eyes peeled for bikes, and if you see one, allow for it as you make driving decisions in its vicinity. Also pay attention to their hand signals. If you do not know the different universal hand signals, check them out here. And perhaps the most important advice of all, never drive distracted. This applies for any time when you are on the road, but especially around bicycles, because it is very easy to miss them if you are not giving the road and your surroundings your full attention as you drive.